The idea of Vegan diet has created a stir in this century and millions of people have embraced this unique form of eating in totality especially for the sale of losing weight. Today, almost all weight loss experts may give away a tip or two in favor of this form of diet when it comes to shedding excess poundage and that too with reasonable ease. Basically, Vegan diet supports eating food in its natural form than giving in to excessive cooking while strictly rejecting all animal-obtained foods like meat, dairy products and even honey! Overdoing it with low calorie food – Becoming extremely over conscious with what you eat and what you reject is one of the outcomes of Rigid Veganism. For many, it has become more of an obsession than a part of healthy living. Pushing it over limits usually results in pushing it beyond manageable extents which can be just as bad as certain eating disorders. Low energy levels – Banking solely on plant resources for energy is never a wise thing to do. Our body needs a healthy level of ‘heme iron’ in the blood to ensure maintaining a healthy level of oxygen in the entire system which in turn helps in keeping a person sprightly and active. 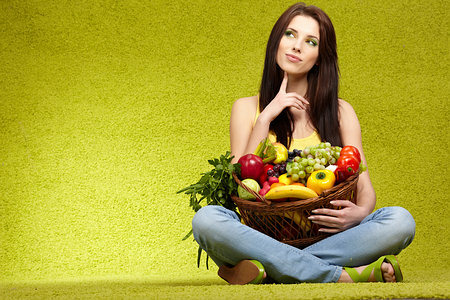 Vegan diet however focuses on non heme iron derived from plant sources and thus cannot be absorbed well by the blood. So, fatigue is bound to creep in slowly and stay till the time a different diet is followed. Lack of glow and vitality – Vegan diet does help you lose weight but there is no guarantee that it helps in gaining muscles. So, you may see yourself becoming ‘thinner’ than leaner or muscular. The glow from your skin disappears gradually adding wrinkles, dark circles etc. sooner than intended. Feeling of bloating – A strictly plant and bean based diet can cause thorough bloating especially if you are sensitive to it. So, if you experience any such feeling after embarking on the Vegan diet venture, this may be time to stop overdoing and strike a healthy balance with animal based foods as well. Putting on weight than losing it – Vegan diet rejects animal derived food ingredients, but it never defines what and how much to eat. Say for example, if a bag of junk food containing no animal based ingredients like a bag of potato chips, can be allowed in a Vegan regime. This leaves ample scope for the Vegans to end up gaining weight in the name of Veganism than lose. Enhancing medical conditions – Veganism can be devastating for those suffering medical conditions especially bone related conditions like osteoporosis. Dairy products which are counted as animal based foods in Veganism are the best source of calcium. If these sources rejected, there is a massive chance for the condition to flare up beyond control.